The Roman Empire is on the brink of war. Rex, a daring young Germanic barbarian, catches the attention of Emperor Constantine and is given the enviable honor of serving as his bodyguard. When he is sent as a spy to the capital, he encounters Flavia-the bold and beautiful daughter of a rich Roman senator-in danger. After coming to her rescue, he joins her on a journey full of narrow escapes, secret identities, betrayal, loss, and sacrifice. Through it all, both must consider the cost of following God. Combining the excitement of an adventure novel, historical and cultural accuracy, and an important message about what it means to follow Christ, this book will appeal to readers across a variety of interests. Volume 1 of the new Christian Empire Trilogy. 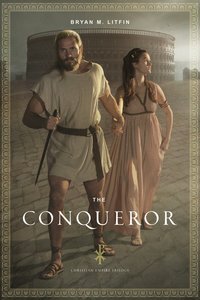 About "The Conqueror (#01 in The Christian Empire Trilogy Series)"